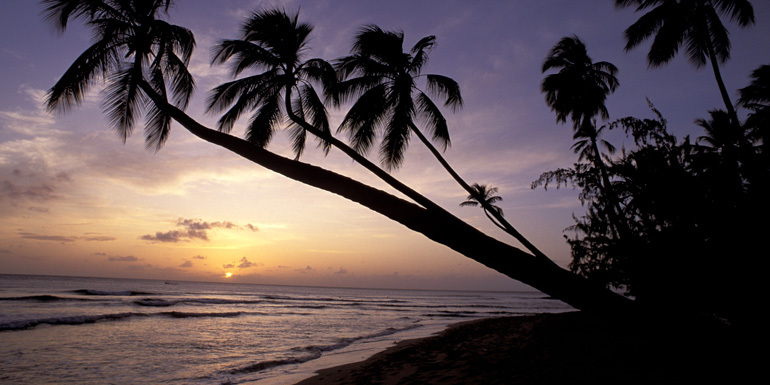 Barbados has two sides to her personality: British propriety and saucy Caribbean swagger. Embrace both if you can. Not only can you enjoy a traditional afternoon tea at Sandy Lane, the country’s most posh resort, but you can also jam with locals at Oistins, the popular street party/fish fry. Want to blend in? Know Barbadians are called Bajans, and join the conversations about cricket and football (what we would call soccer) — you’ll be as golden as the sunsets on the west coast. Start your day at Café Luna. Breakfast: Café Luna – At this charming café at the Little Arches Hotel in Christ Church, you can choose between two totally different meals. Order a British breakfast of fried eggs, bangers (sausages), grilled tomatoes, and baked beans, or a West Indian one of fresh papaya with coconut bread — it’s up to you. Lunch: Chefette – Yes, this is the Barbados equivalent of fast food, but it’s so good, taxi drivers will be impressed with your knowledge when you request a ride there. Order a roti — the local sandwich wrapped in flatbread and filled with chicken, beef, or vegetables — and a mauby, a nonalcoholic punch made from tree bark. This spot is so popular it’s even added an outpost at the airport, which is all but unheard of for an island chain. Just don’t forget: Like in the U.K., French fries are called “chips” here. Dinner: The Boatyard – Chances are your ship will depart just before suppertime, but if you spend the day at The Boatyard beach club at Carlisle Bay near Bridgetown — and you should, since the club offers beach facilities, bars, and restaurants — you can bring back a take-away meal of grilled dorado with a side of Bajan macaroni pie to share while you watch the sun go down from your balcony. Dessert: Brown Sugar – There are bakeries galore in Bridgetown, and for good reason: Bajans like a good piece of cake. Head to Brown Sugar Restaurant for a slice of bread pudding filled with rum-soaked raisins and served with a side of rum sauce. (It’s so rich and tasty, no frosting is needed.) They also serve traditional Bajan fruit cake and, for those who don’t love cake, warm papaya pie as well as locally made coconut ice cream. 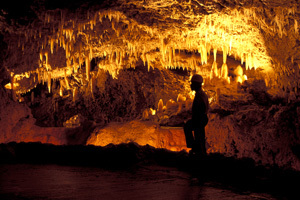 Explore Harrison's Cave, filled with stalagmites. For Everyone: The Careenage – Bridgetown’s marina has a boardwalk and esplanade, where you can stroll by dozens of fantasy-inducing yachts. Do some shopping, then have a seat on the benches and admire this ode to London’s Trafalgar Square. For Couples: Mount Gay Distillery – Barbados is said to be rum’s birthplace, and this historic distillery in St. Michael has become mecca for rum aficionados. Learn about the sugarcane-to-hooch process, developed in 1703, and stay for a tasting. Don’t leave without buying a bottle to enjoy back home — prices here are at least 20 percent cheaper than in the U.S.
For Families: Harrison’s Cave – It sounds scarier than it is, but most children get a kick out of the 1-mile underground tram ride through Harrison’s Cave near St. Thomas, an ancient limestone cave filled with mineral stalagmite and stalactite formations. For the Adventurous: Surf lessons – For the budding surfer or those curious about kitesurfing, head over to Bathsheba, aka the “Soup Bowl” on the eastern shore. Lessons are available from Olympic windsurfer-turned-vendor Brian “deAction Man” Talma. Not many people expect hiking to be big on Barbados’s mostly flat terrain. And it’s not — unless you know where to go. Take a customized 2- to 10-mile trek with Stephen Mendes of Hike Barbados, and he’ll show you the unexpected, from tiny villages to monkey-filled jungles. 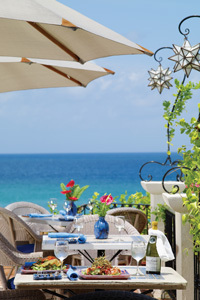 Where do you like to go in Barbados?